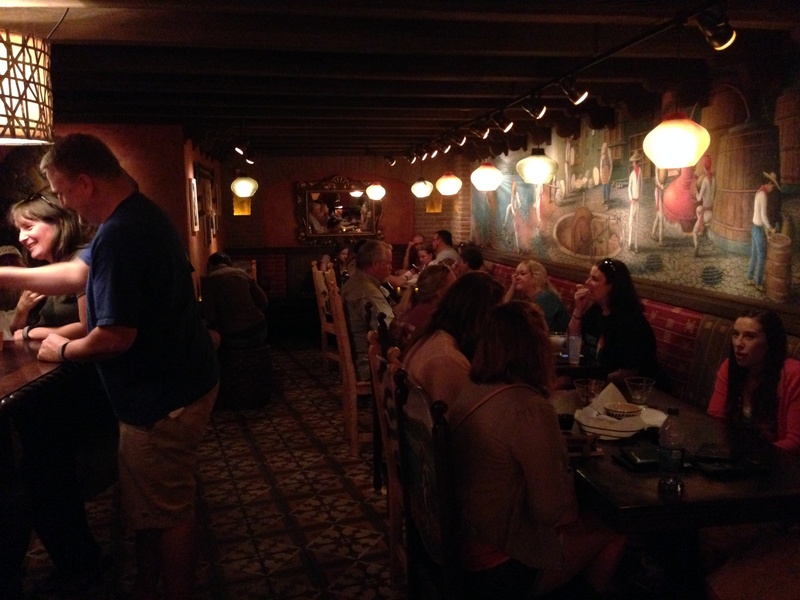 Tequila Recon: La Cava del Tequila | It's "All in WDW"
It would be unfair for me to title this piece a “dining recon” because, well, there was no dining going on that night. Although, this particular venue does offer a variety of tortilla chip-oriented tapas. 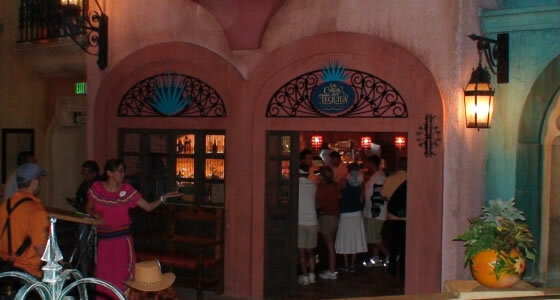 To be truthful, we were strolling around World Showcase with friends, and we just dropped in to pay a quick visit to this dark and crowded “cave” of tequila. If you’re unfamiliar, it can be found in the heart of the Epcot World Showcase Mexico pavilion’s Aztec pyramid. La Cava is renowned for its unique and vastly enjoyable variety of margaritas – delicious refreshments like Avocado, Blood Orange, Jalapeño, or Cucumber. However, on this visit – our first, if you can believe it(!) – margaritas weren’t on our minds. 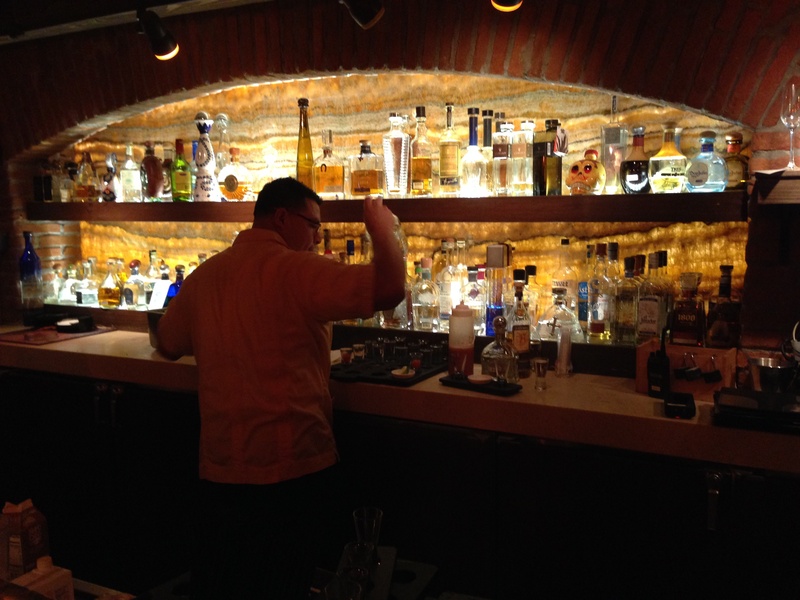 For a full view of La Cava’s extensive list of tequilas and margaritas, check out their site at this link. So. How did we make our choice from among this cast of a “thousand” options? Fortunately for us, we had a bartender in our touring party that day. 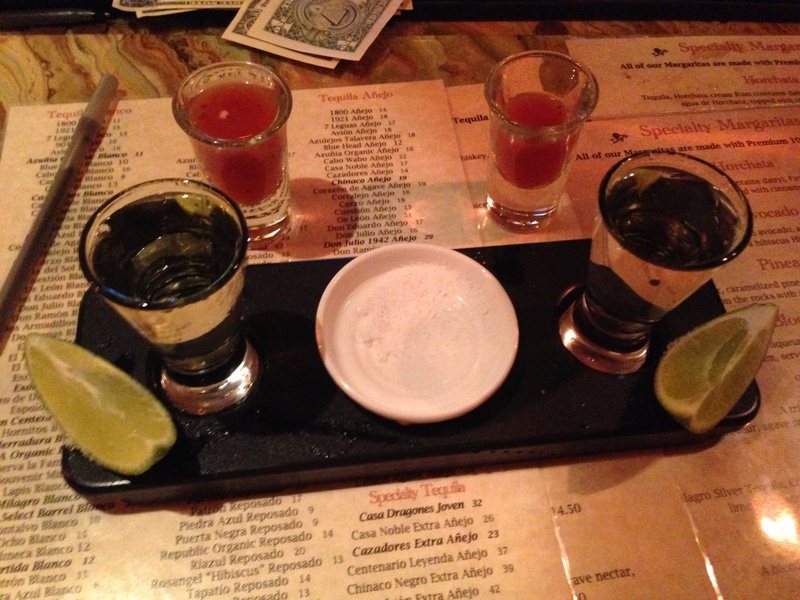 Since we were looking for a good tequila, she pointed us in the direction of Familia Camarena. Served with fresh lime, salt, and a tasty sangrita chaser, we settled on the Camarena Reposado. It was very good. Mrs. All in WDW loved it! The sangrita was excellent as well! It was so good that we asked for the recipe. One of our favorite things to do on a Summer weekend is to sit out on our balcony, bathing in the warmth and sunshine, while enjoying a refreshing “diet” margarita. Diet? Let me explain … have you ever used Crystal Light drink mix? Go to Target, and buy their brand of low-cal (no-cal?) Margarita Mix. You’ll find it among the Crystal Light. Mix the drink mix in a standard bottle of water. Follow the box’s directions. Add tequila and lime, and you’ll have a tasty margarita! 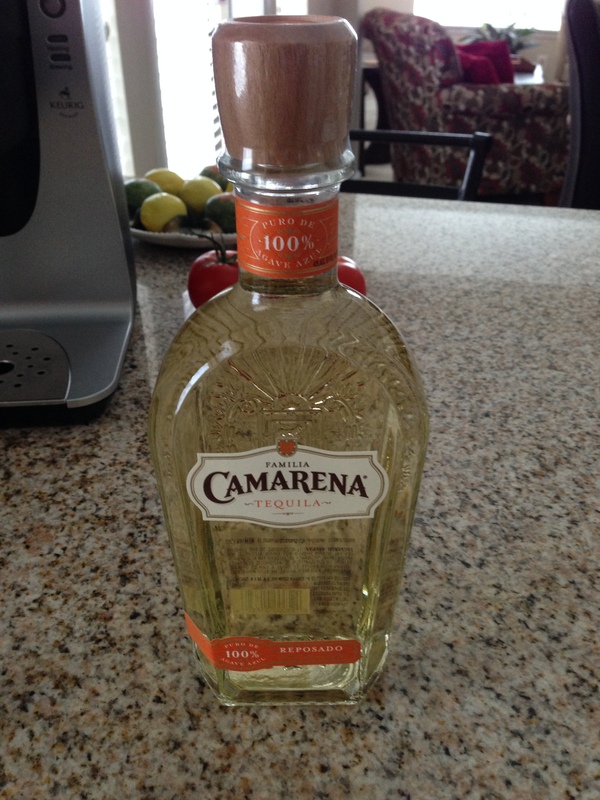 Now, since I was able to find that delicious Camarena Reposado in Atlanta for the very affordable price of $20 per bottle, will it make it into one of those margaritas? Maybe not. Actually, it might be best for enjoying all by itself. Very smooth. 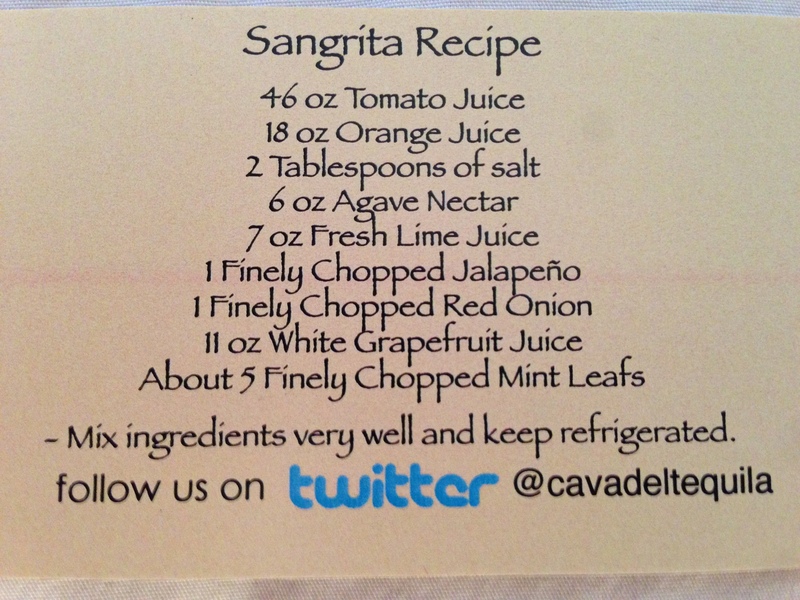 Perfect for sipping or excellent for shooting, it, and that sangrita(! 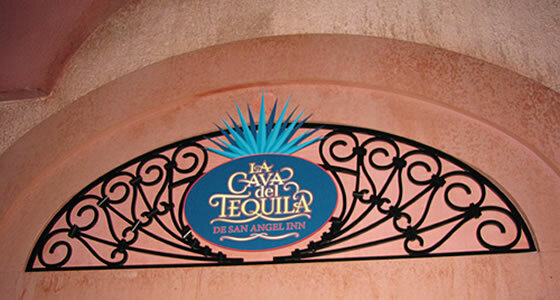 ), are just two more winners offered by La Cava del Tequila! ← “Food” & Garden Returns – A Reader’s Report!